SSV Works Complete 3 & 5 Speaker Stereo System + Discount!! 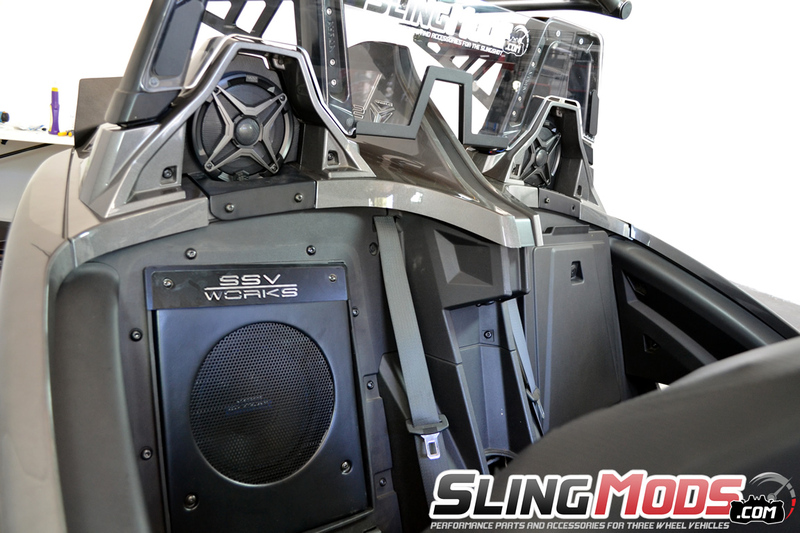 We're happy to introduce the mostly Plug N Play Full 3 & 5 Speaker Stereo System by SSVWorks. This kit will give you full stereo surround with everything you need to completely install this kit from the comfort of your own home. This kit will give you full stereo surround with everything you need to completely install this kit from the comfort of your own home. 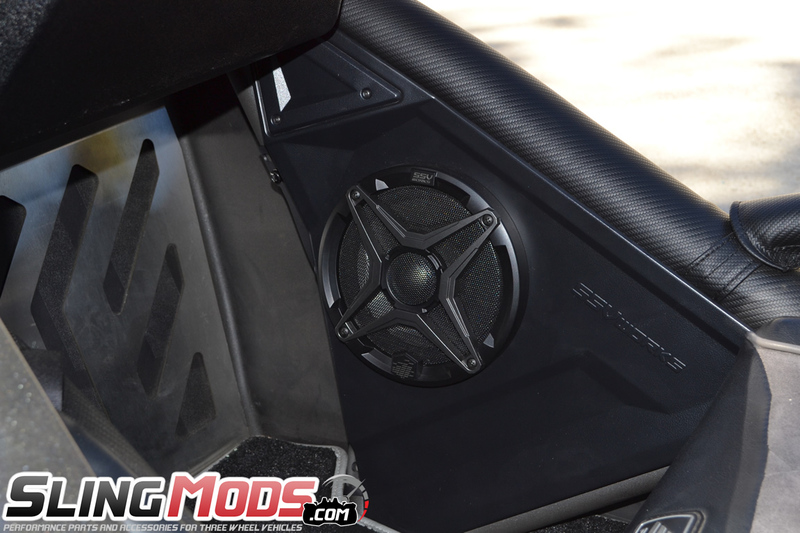 This kit comes with a 400 watt, 4 channel D-Class Marine Grade Amplifier from SSV Works, (2) Fiberglass Convertible Front Speaker Pods, (2) Fiberglass Rear Deck Hump Speaker Pods (included on 5 speaker kit only), (2 or 4) 6 1/2" Coaxial Marine Grade SSV Speakers, (1) Custom Molded Amplified SSV Sub Enclosure (passenger side), (1) 10" SSV Subwoofer, SSV In-dash MRB3 bluetooth receiver, Optional independent subwoofer Volume Control Knob, USB charger for your Phone or Tablet, 3.5mm Audio Input Jack and all the wiring needed to setup the system. 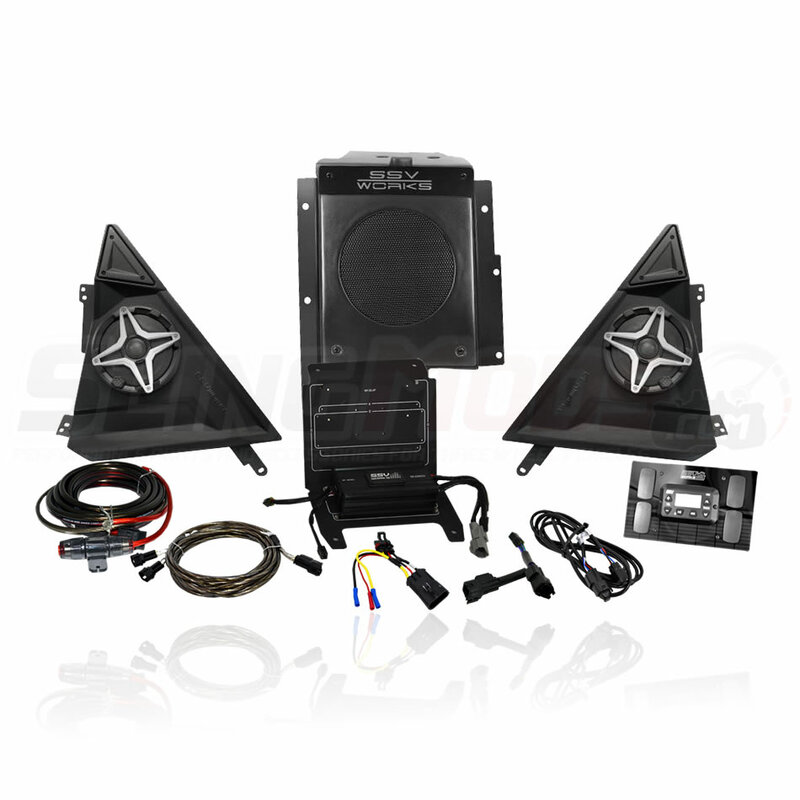 The amplifier comes pre-tuned from SSV to even further simplify the installation process. 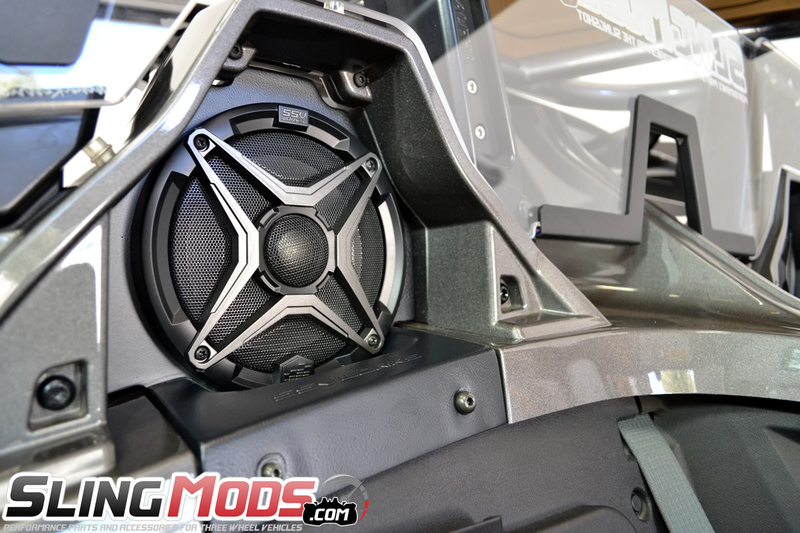 The majority of this stereo system is plug and play using proprietary SSV connectors that allow you to simply snap together all speaker connections. 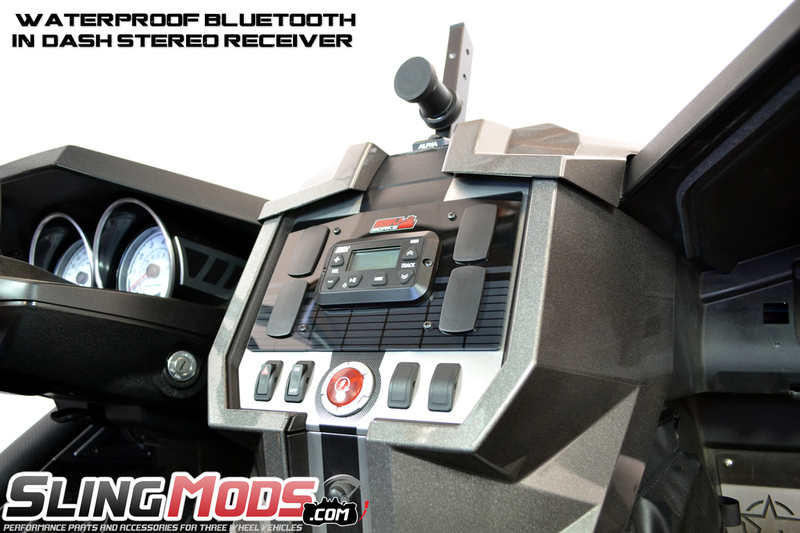 The only manual connections are the Power & Ground connection for the head unit and amplifiers. Nicely done! Are those magnets next to the control unit? Those 4 pad things? @MiM those would be switch locations! @Tripod that would be a great kit! These new kits come pre-packaged. We will see if on the next round we could get that combination going. Our install video is up and live on our youtube channel! 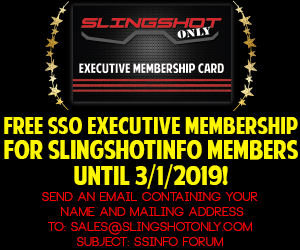 Don't forget to subscribe to stay up to date!